Today, Friday 13th November 2015, has been a lucky day for gamekeeper Ricky McMorn. The Judicial Review at the High Court has quashed Natural England’s refusal to grant him a licence to control buzzards, a battle that has been going on for four long years. Giving his judgement today Mr Justice Ousley said Natural England and Defra had exceeded their powers and must in future make decisions fairly and on the facts. Natural England had unlawfully adopted a policy that made it more difficult to get a licence to shoot raptors that were preying on gamebirds than it was for other birds covered by the same law, he concluded. The Countryside Alliance has welcomed the judgement of the High Court to overturn Natural England’s decision and congratulates the National Gamekeepers’ Organisation (NGO) for bringing this issue to the court’s notice. Tim Bonner, chief executive of the Countryside Alliance said: “The NGO’s support for Mr McMorn has been instrumental in bringing this double standard to light. “There is no justification for the illegal killing of birds of prey or any other species, but a series of licences have been in place since 1981 which allow for the legal control of species such as buzzards and Natural England should deal with applications for licences under these derogations entirely even-handedly. 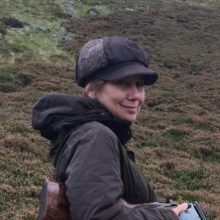 Joe Dimbleby of Shooting Times & Country Magazine added: “This landmark ruling should set a precedent for a more sensible approach to licencing. No doubt there will be outcry from the normal quarters, but the case has revealed the law of the land not being followed because of special interest pressure.